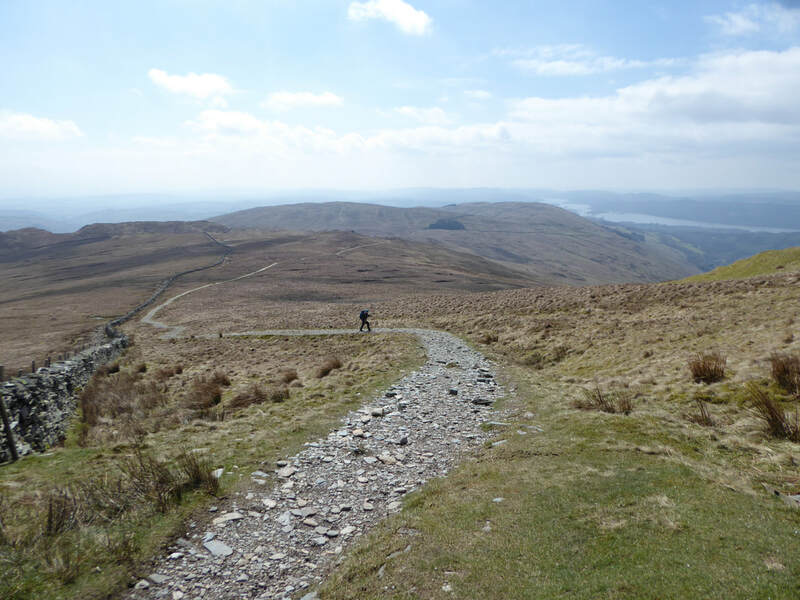 Today's walk was in an area of the Lake District we have been to many times and now, thankfully we don't live too far from - The Far Eastern Fells. 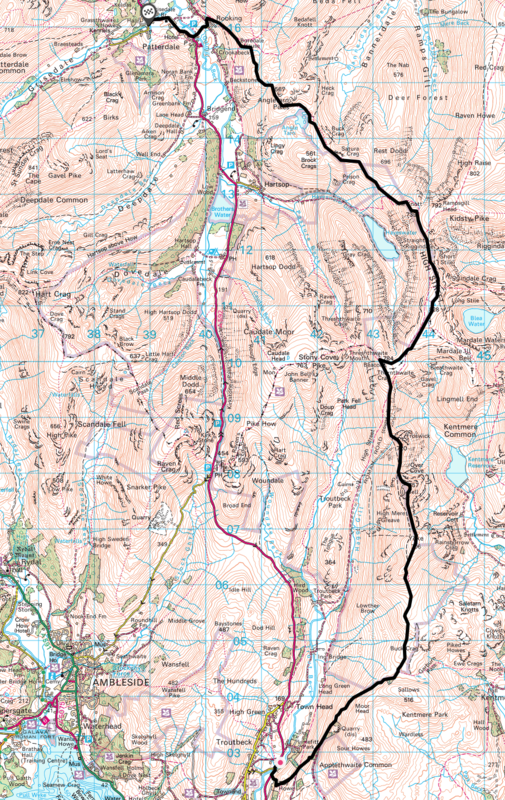 The intention today was to complete Day 2 of the Wainwright Memorial Walk - a linear amble from Troutbeck to Patterdale. 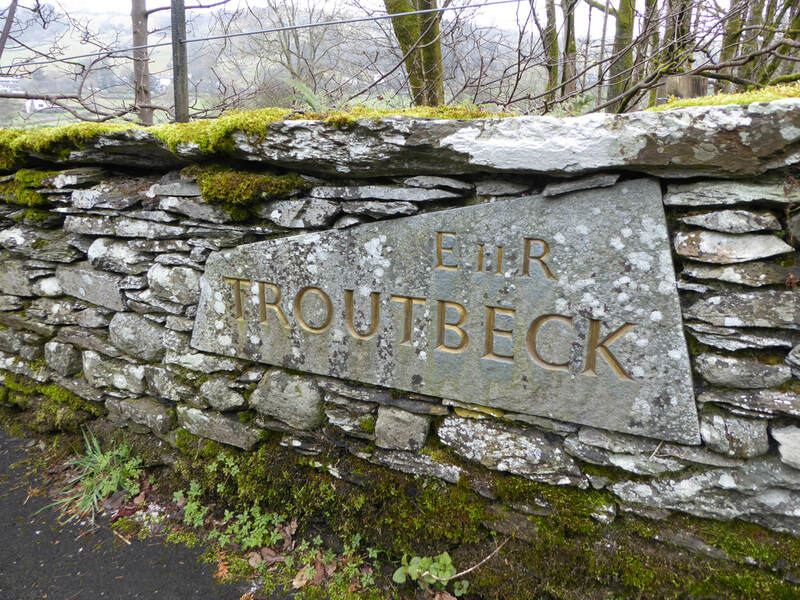 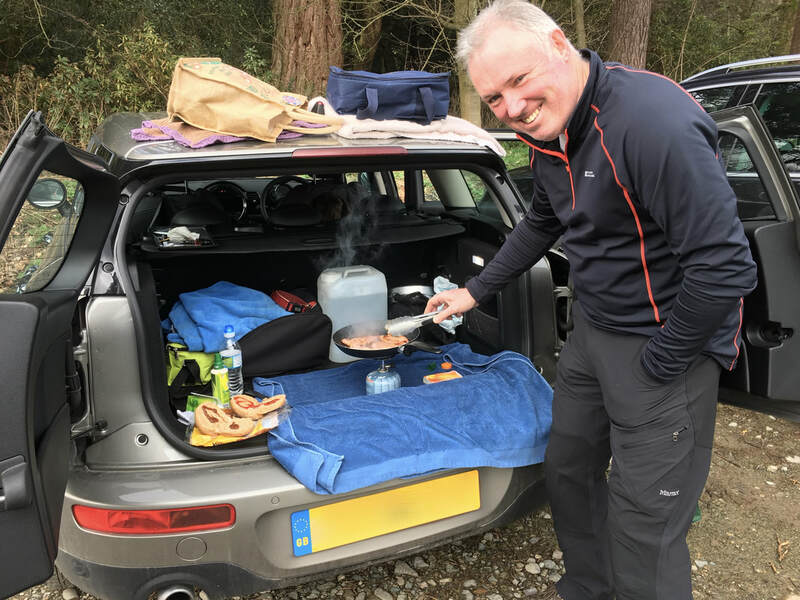 After parking in the village and a quick Bacon Sandwich, we caught the bus to Troutbeck from opposite the Patterdale Hotel with the intention of walking back. 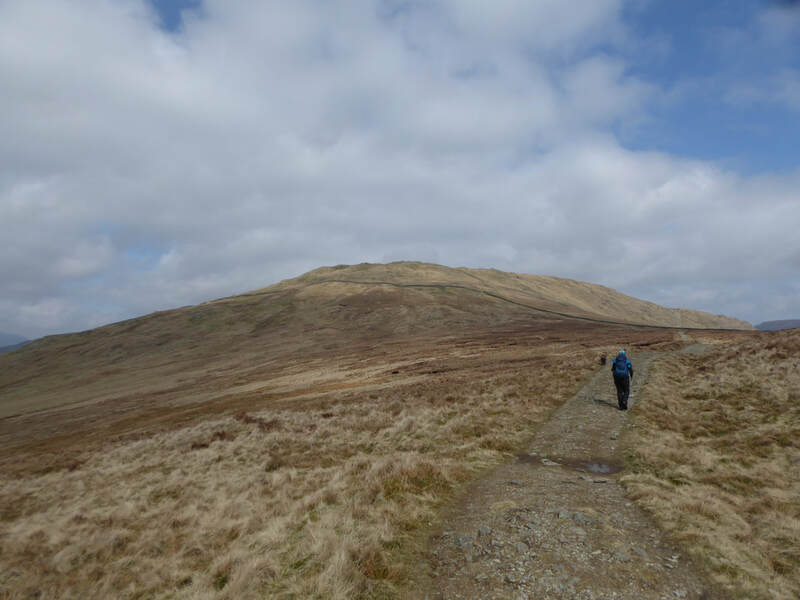 Our journey would see us visit the Wainwrights of Yoke, Ill Bell, Froswick, Thornthwaite Crag, High Street & The Knott to eventually return via Angle Tarn & Boredale Hause. 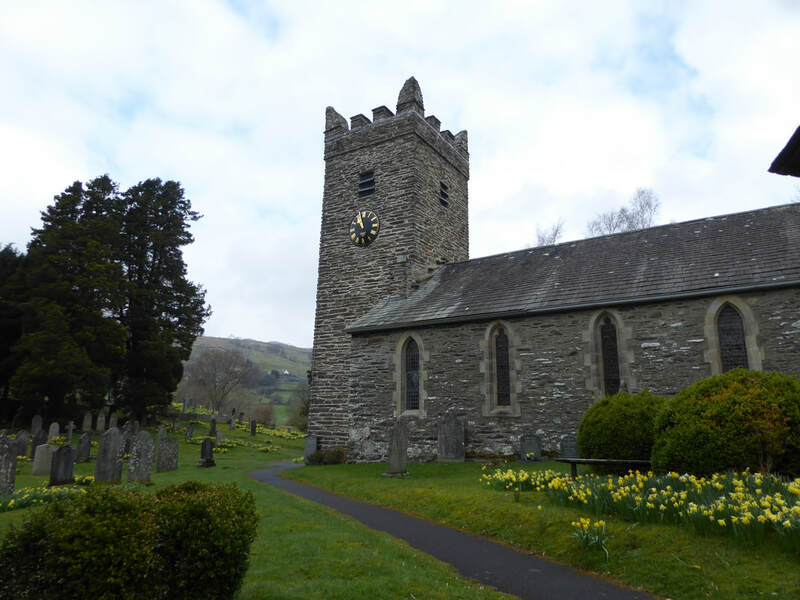 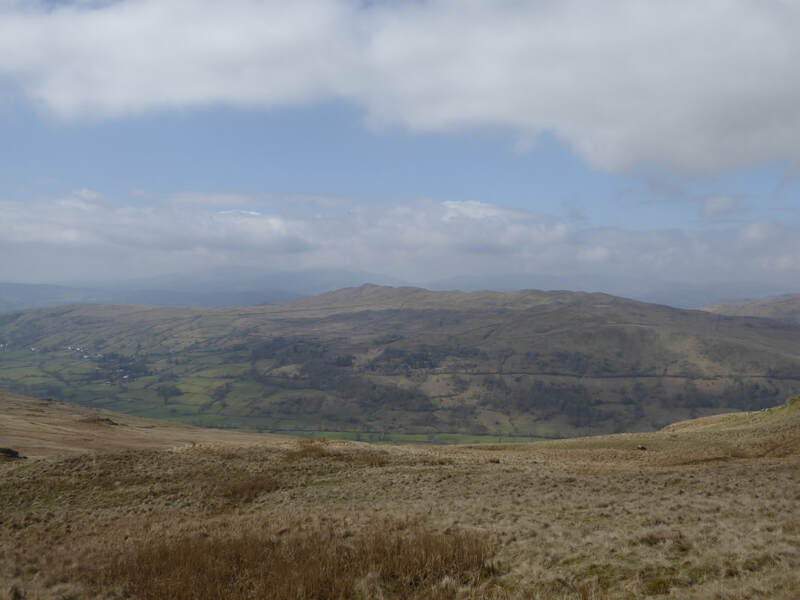 From Jesus Church in Troutbeck it is a short walk south in order to pick up the path that heads towards Kentmere. 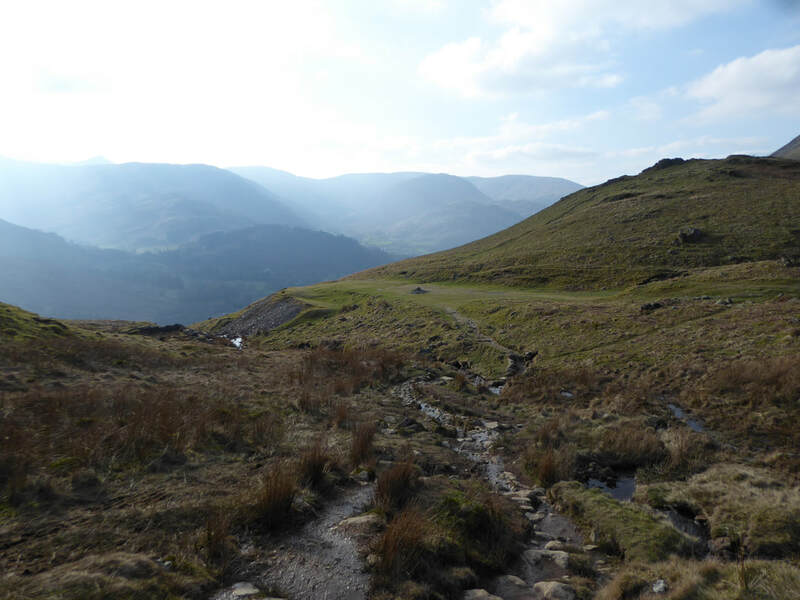 The path meanders its way gently uphill passing Applethwaite Common - if Wainwright bagging a short detour will lead to the summits of Sour Howes & Sallows and the route can then be rejoined at the junction with the Garburn Pass. 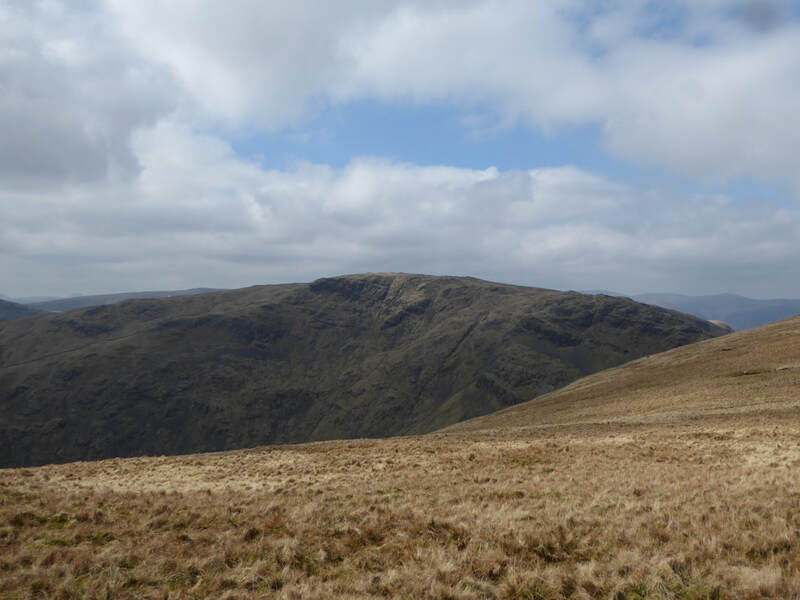 From the pass the gradient increases gradually and there is a short, steep pull to reach the first of today's summits, Yoke. 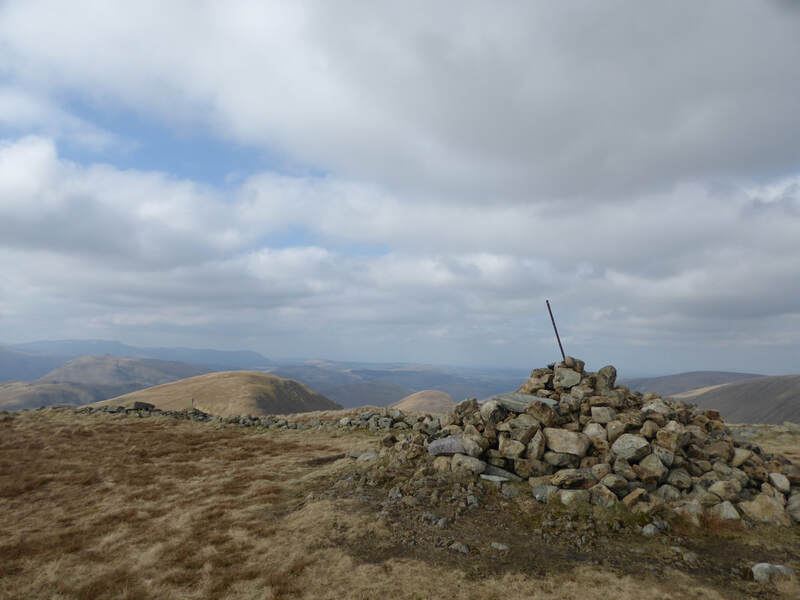 In good visibility, from the summit there is no doubt as to the route to the next fell, that of Ill Bell and the transit over to the summit is a real delight. 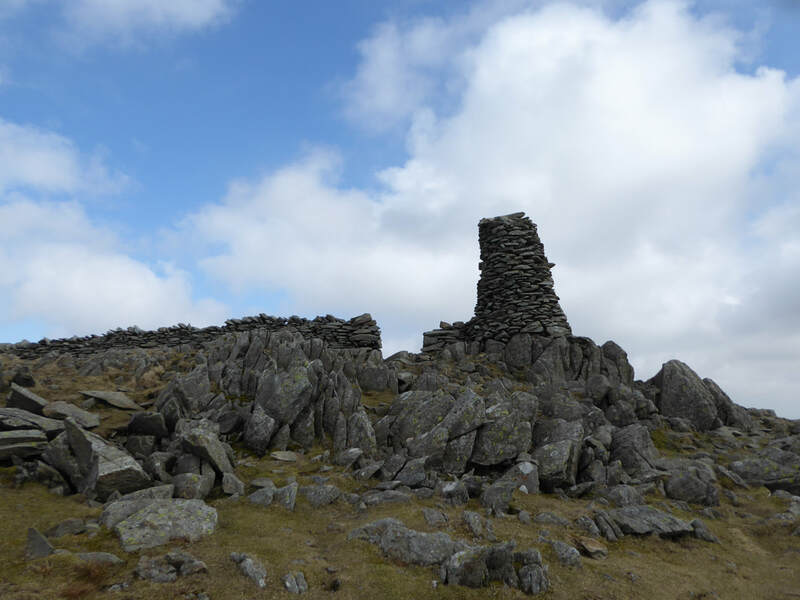 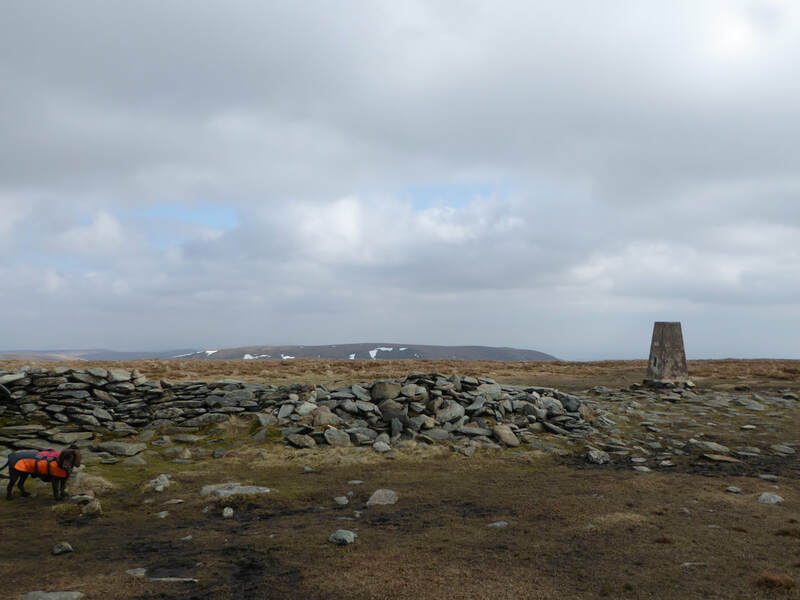 There are several cairns adorning the rocky summit of Ill Bell and time should be taken to seek out the fantastic views over to Nan Bield and the eastern side of the Kentmere Horseshoe. 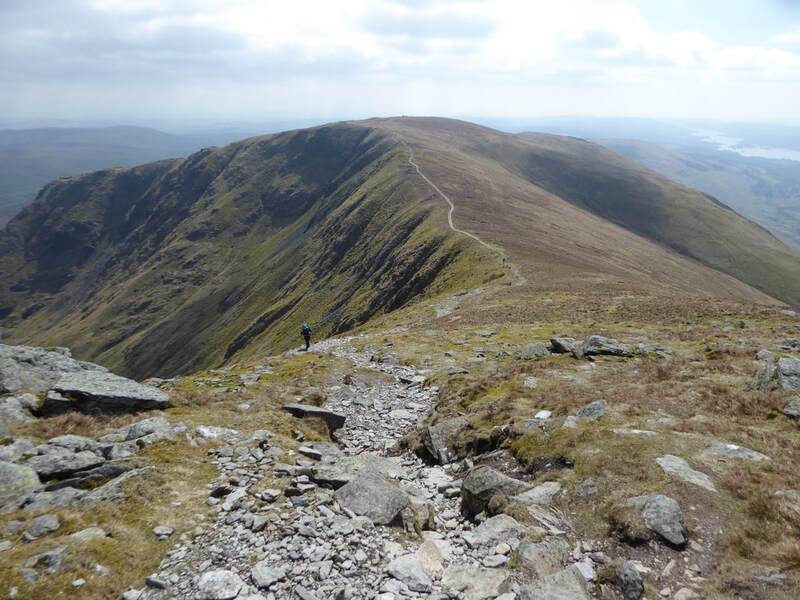 Leaving Ill Bell the route continues north, dropping steeply into a col before rising gently once more to summit Froswick where the superb views continue. 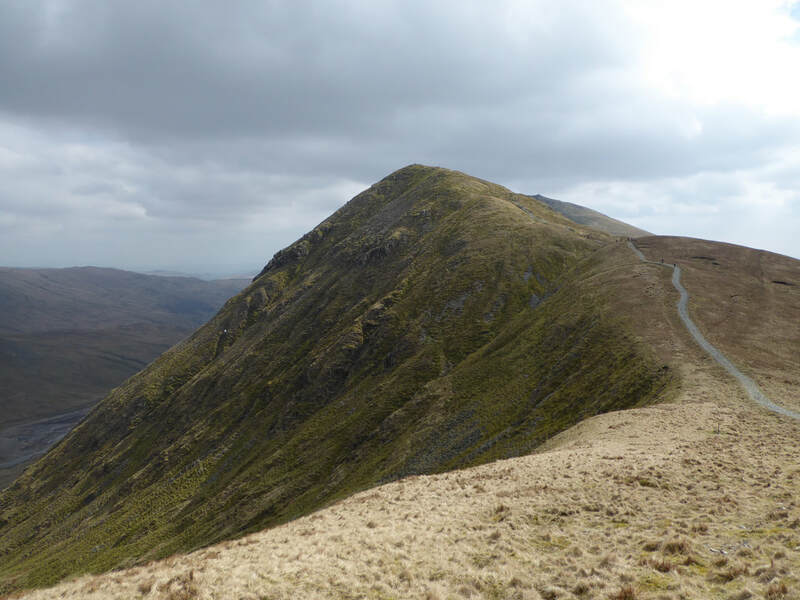 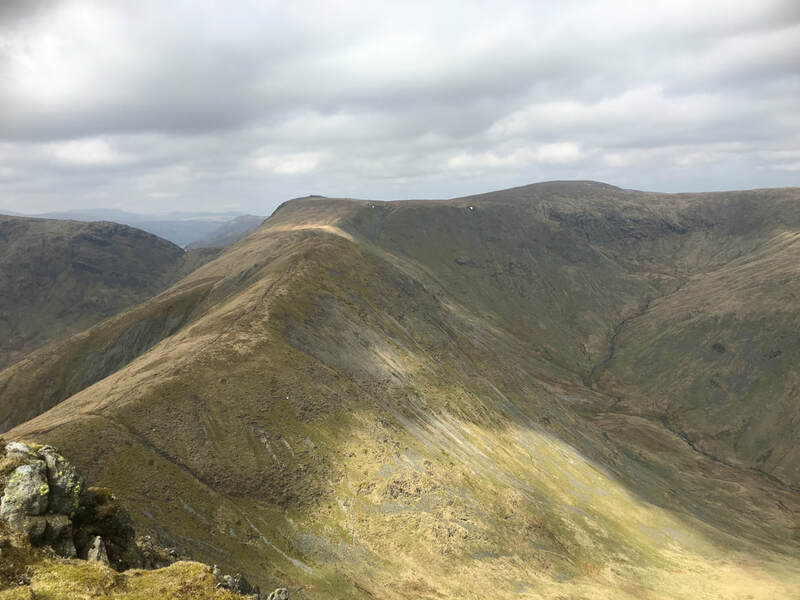 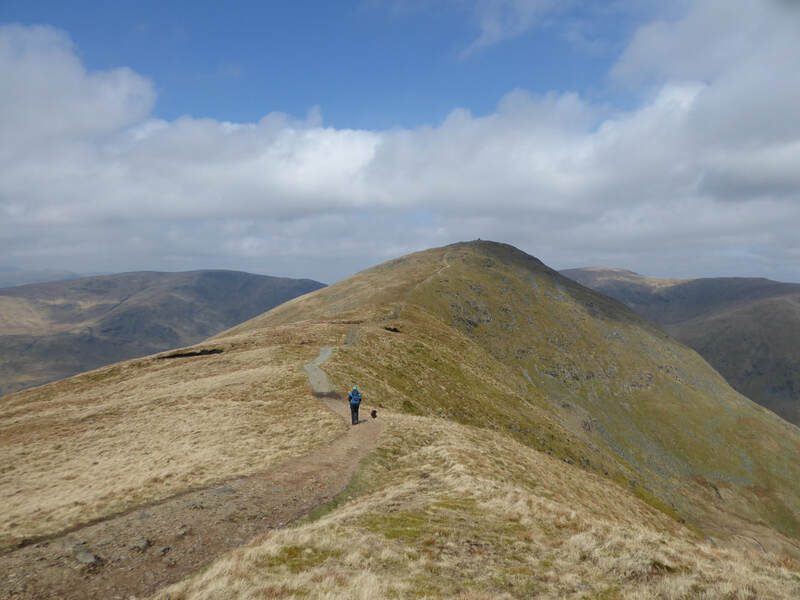 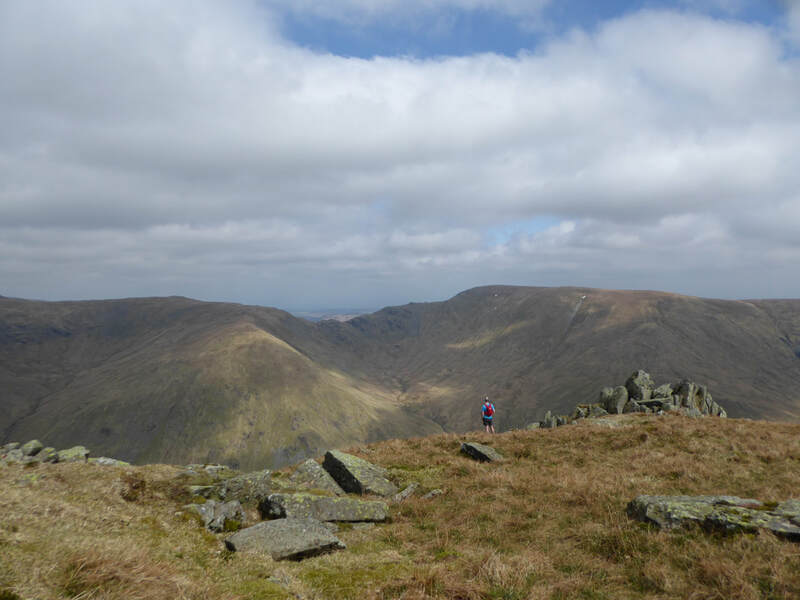 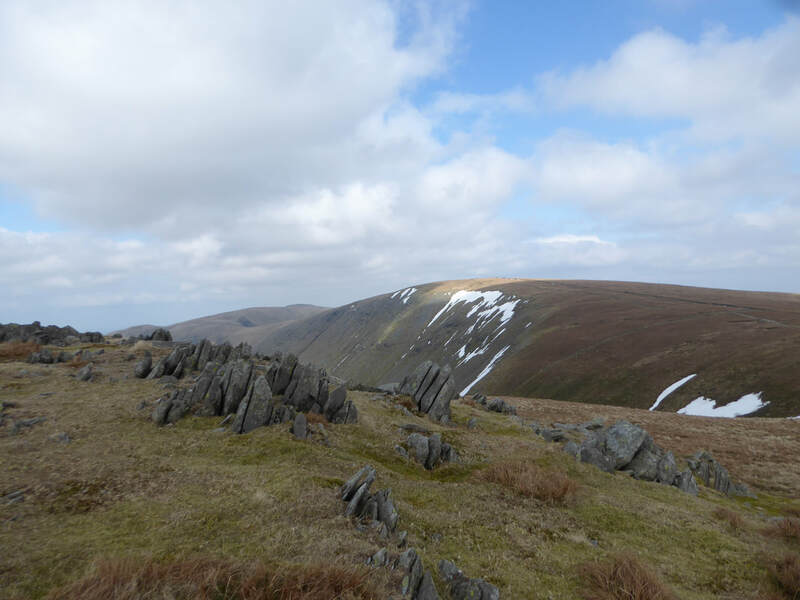 After a steep and stony descent from Froswick, there is now a gradual rise of about half a mile or so to Thornthwaite Crag and the large beacon that adorns the summit. 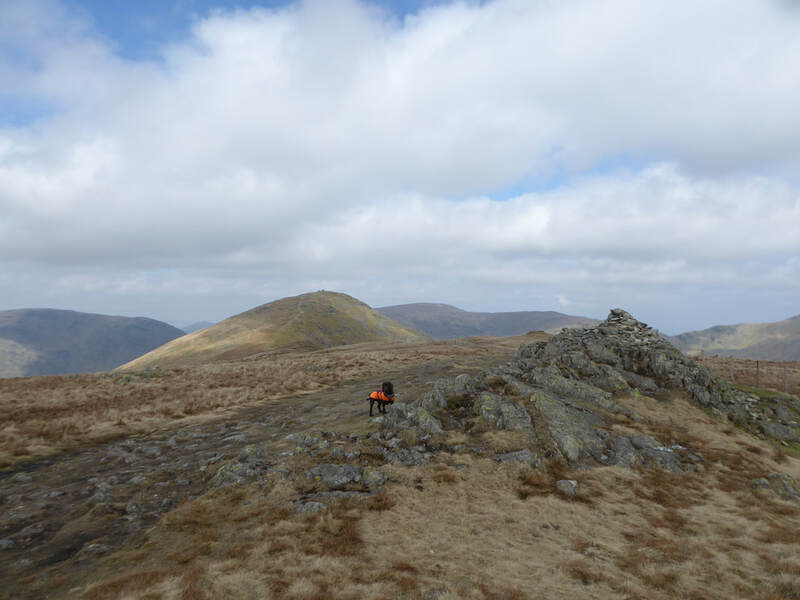 Once more there is the opportunity to divert from the route and continue north to do a quick out and back to bag the Wainwright of Gray Crag - we didn't today and instead headed to High Street via the eastern side of the wall although either side provides a path. 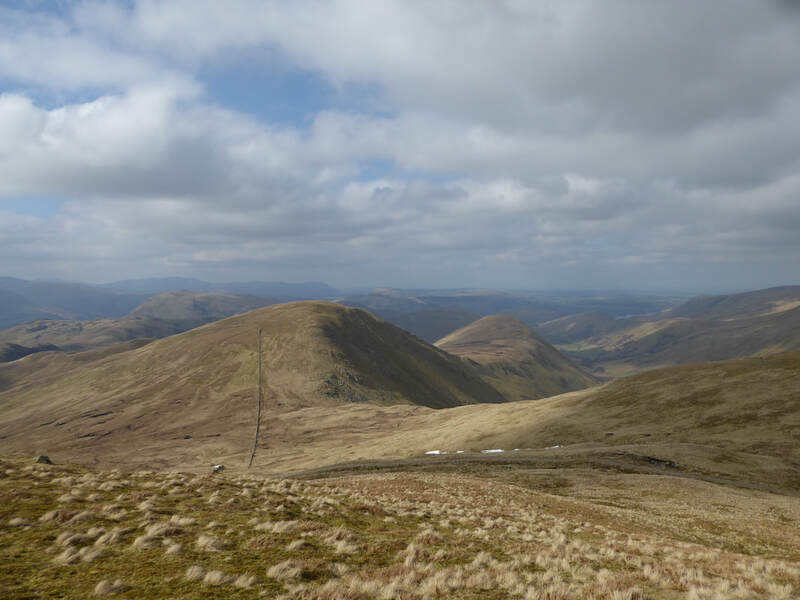 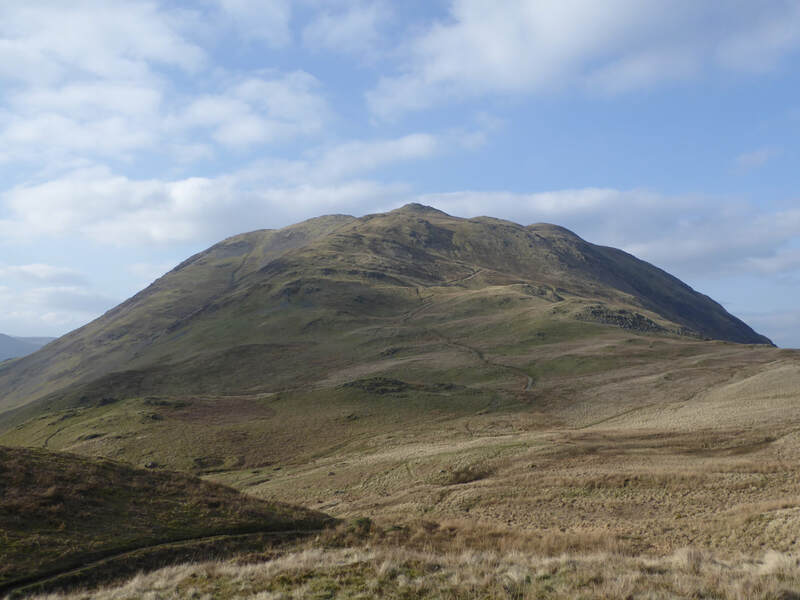 From the flat plateau summit of High Street we continued north along the Straits of Riggindale to reach The Knott via a short, steep rise of about 200 yards. 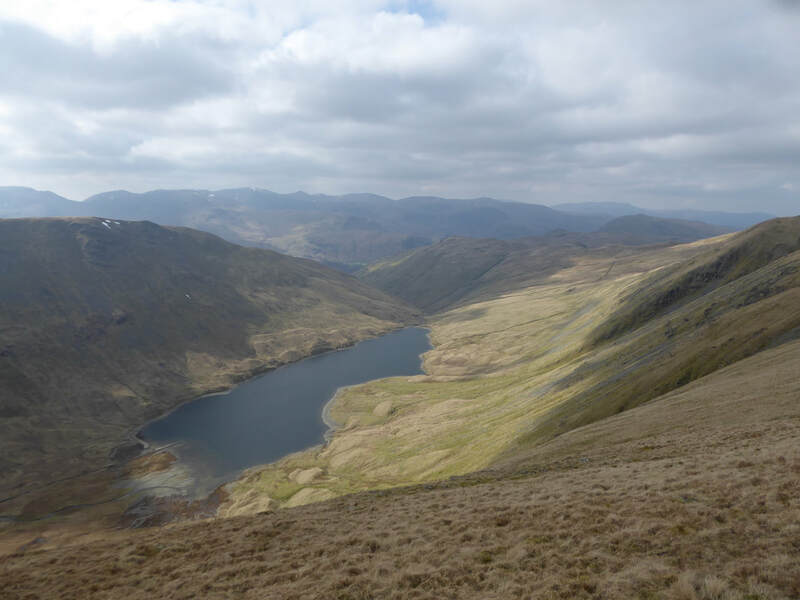 With the climbing all but over, it was now a simple case of enjoying our descent into Patterdale via Angle Tarn & Boredale Hause. 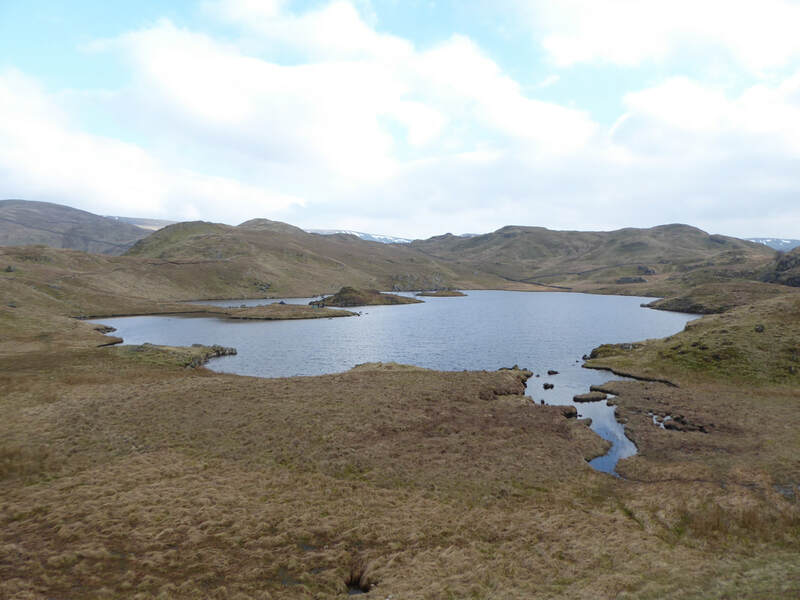 This is a popular section yet we saw nobody and apart from a couple of tents at Angle Tarn the place was deserted. 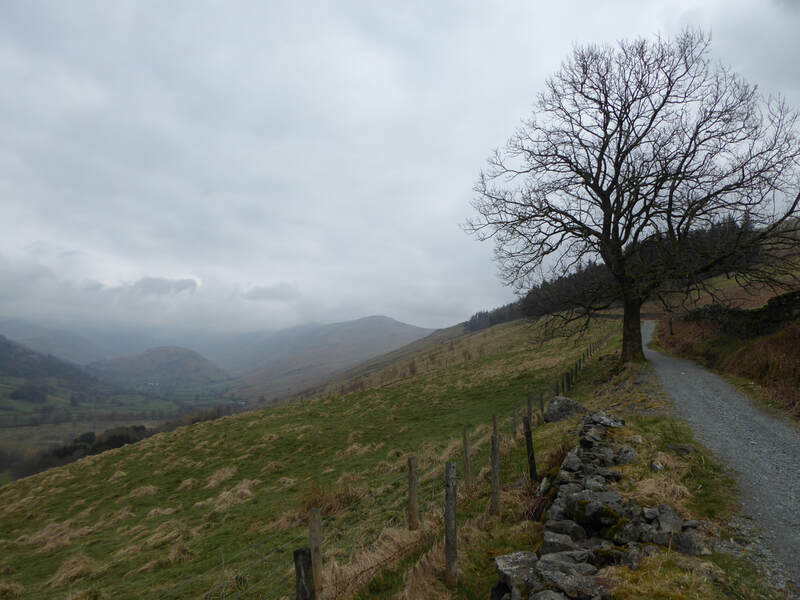 Reaching Patterdale we crossed the bridge at Goldrill Beck to transit through the village to our car which was parked at the Sports Field. 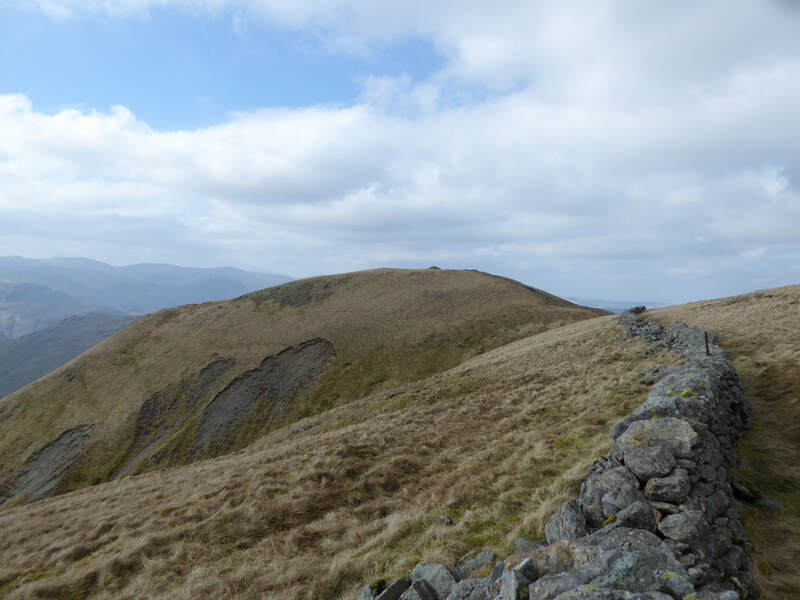 Having completed 2 days out of 11, Wainwright's Memorial Walk is already proving to be a wonderful experience. 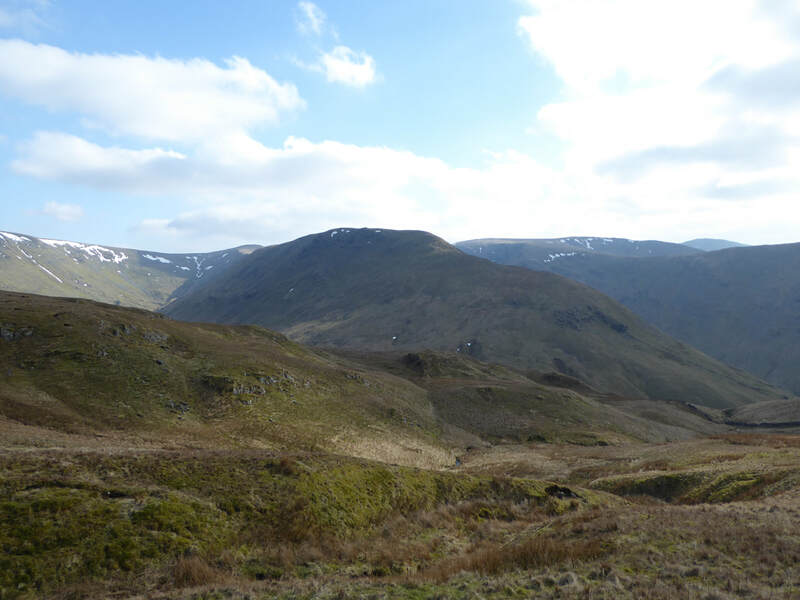 Heading now above Limefitt towards the Garburn Pass - Troutbeck Tongue to the left and Yoke to the right. 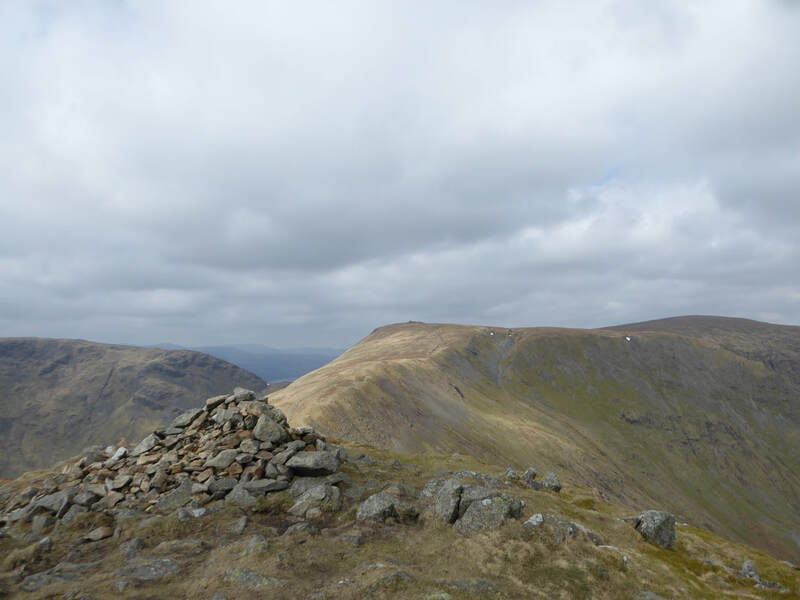 Looks a bit gloomy up there!! 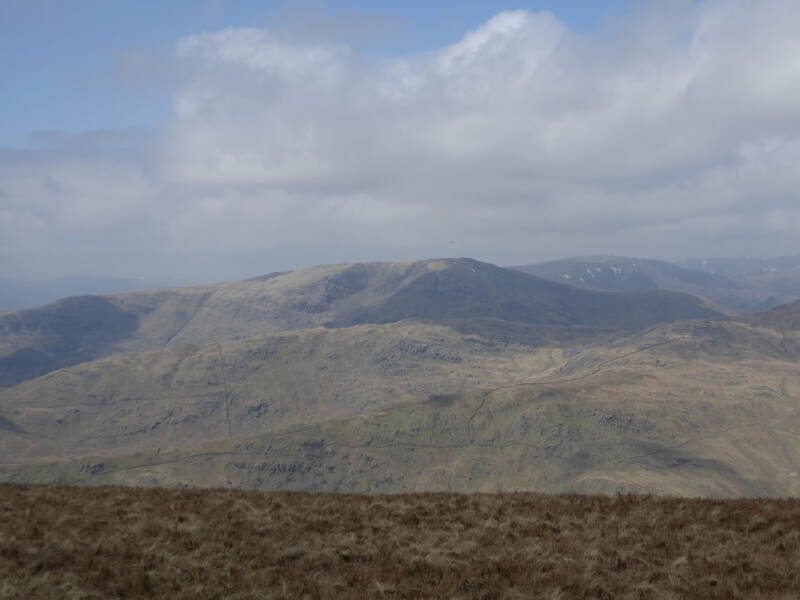 Ill Bell to the left with High Street, Mardale Ill Bell, the Nan Bield Pass & Harter Fell to the rear. 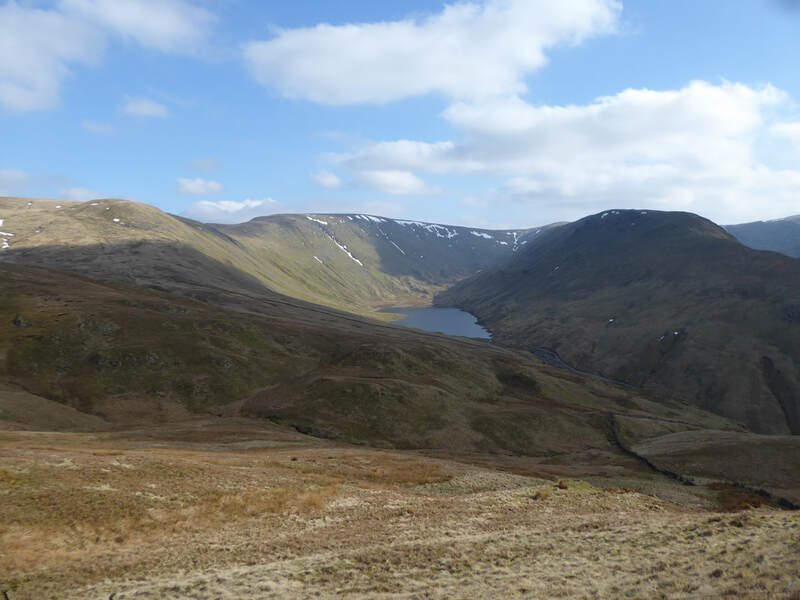 ​A rather empty looking Kentmere Reservoir sits below Nan Bield. 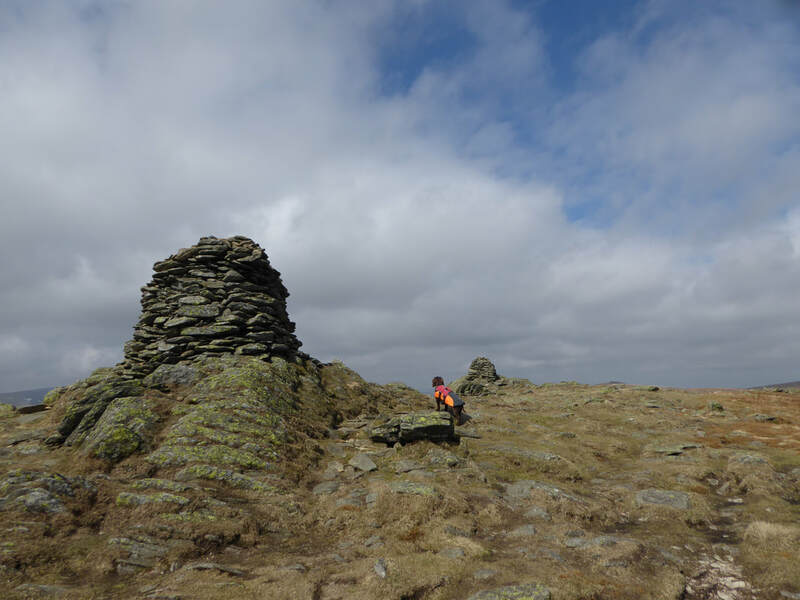 One of the many cairns on Ill Bell's summit. 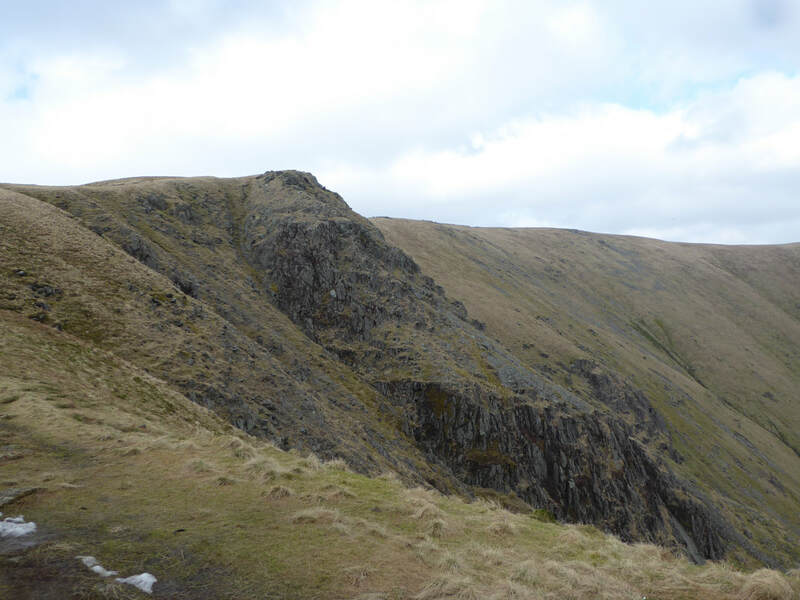 Fudge is on the lookout for people who have taken their eyes off their sandwiches. 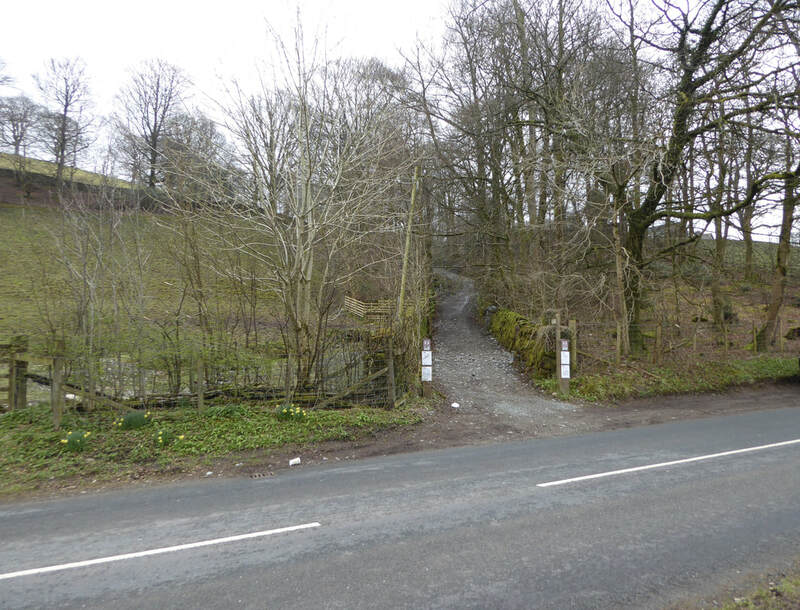 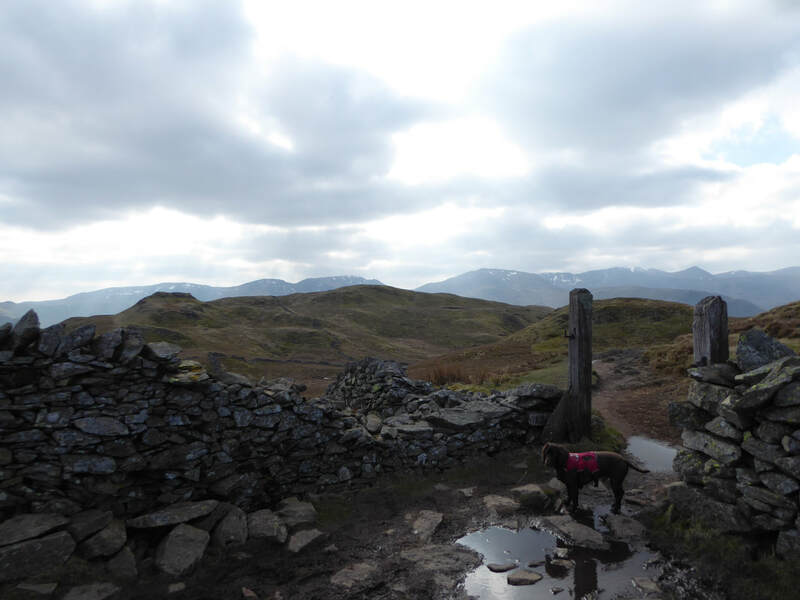 The gateway at a junction of 4 paths - behind me are the paths leading to Rest Dodd & The Knott. 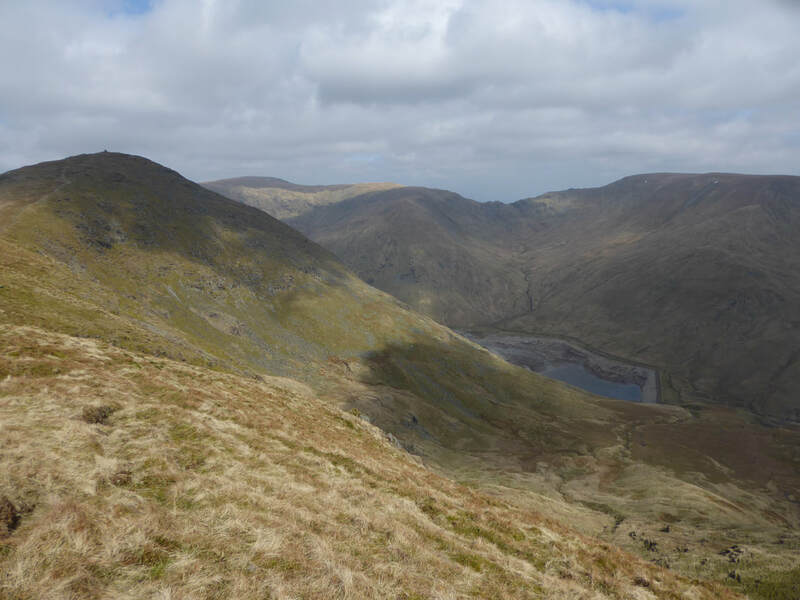 Brock Crags is ahead with the path to Angle Tarn moving to the right.